Note: We must apologize in advance for the sound quality on this audio recording. We attempted some different phone options but had to settle on this. This conversation about the book The Imperfect Diamond is so good that we decided to release the podcast as is …. We are happy to have a return visit by Lee Lowenfish on Cover the Bases. During our previous conversation we discussed his great biography called Branch Rickey: Baseball’s Ferocious Gentleman . 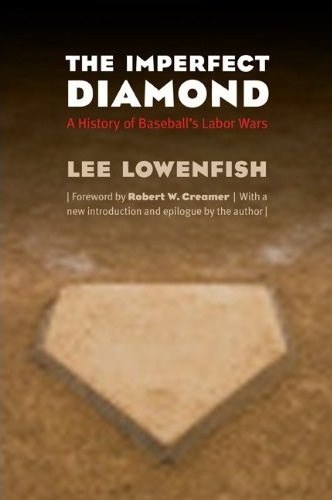 On this episode, the award winning author sheds some light on the updated and revised look at baseball’s labor struggles in his book called The Imperfect Diamond: A History of Baseball’s Labor Wars. The book was originally released in 1980, updated in 1991 prior to the player’s strike of ’94 which canceled the World Series, and finally now with a long view look at the history of labor relations. The book is published by Bison Books. As a way to understand the issues that were addressed in each of the editions, we break down each release of the book. In the first edition, Lee explains that one of his great pleasures was the exposure of John Montgomery Ward and his attempts at developing the Players League. He was a great player on the Giants at the turn of the Century and was able to get many star players of the day including Connie Mack and Clark Griffith, to force a confrontation with the baseball owners (moguls as they are referred to – a great term for them). The players jumped to a league that allowed better contractual arrangements but played only one season in 1890. The first edition carries on the challenges and injustices for the players including returning war veterans who lost their jobs on ballclubs even in the face of the Veterans Act protecting their jobs. Players such as Tony Lupien, Al Niemiec and Bob Murphy had limited recourse when they reported to their old clubs after serving their country, only to find another player had taken their place. Finally, the book finishes up with the two pivotal decisions that paved the way for a leveling of the playing field between the owners and the players. Lee addresses the Curt Flood appeal to the Supreme Court, lost in a 5-3 decision which upheld his trade from the St Louis Cardinals to the Philadelphia Phillies. Curt never reported, believing that he was being treated as “a piece of property” which ended his playing career, but effectively dismantle the prevailing Reserve Clause that had appeared in 100 years of baseball contracts. This paved the way to the final chapter of the first edition, Free Agency for Dave McNally and Andy Messersmith in 1975. 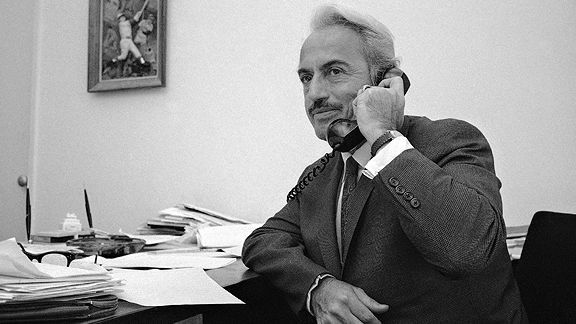 A key turning point in the story comes along with the introduction of Marvin Miller into the narrative. Coming from a background of labor negotiations, he was able to persuade the players to galvanize their efforts in an attempt to get better working conditions. It is easy to focus entirely on winning the rights to free agency, however there was a need to also address issues such as pensions, compensation for spring training travel and lodging, merchandise rights, etc.. There is a much deeper story than just the headline grabbing aspects. A troubling circumstance that Lee brings to our attention is now that the Players Association has been fully recognized by the Owners, and player’s salaries are so large, it could mean that the importance of winning a World Series is tamped down. He believes that signing amateur players to large bonuses can also have an adverse effect as well. The second edition of the book takes us from the 51 day strike of 1981, which was a result of negotiations over a collective bargaining agreement that would compensate teams losing free agents with another player of equal value. Owners were trying to limit the ability of the teams with the most payroll of stockpiling the best players. Players felt that this compensation would keep teams from signing free agents therefore limiting their earning potential. Early results of free agency indicated that this was not going to be the case as many players chose not to choose that option. The final chapter in this section addresses the response to free agency by the owners, and the term “collusion” became part of baseball fan’s vocabulary. With no bidders for prime free agents hitting the open market such as Kirk Gibson, Carlton Fisk, and Ron Guidry to name just a few, there was legitimate concern on the part of the players and their agents that something underhanded was underway. We are also introduced to the successor to Marvin Miller and soon a name in the headlines Donald Fehr. A salary cap or revenue sharing as a form of salary cap was the key topic on the table when the Epilogue to The Imperfect Diamond begins leading up to the disastrous strike of 1994. The game was resurrected by the huge home run race of McGwire and Sosa, but of course this edition would not be complete without a look at player testimony as the Mitchell Report investigations took place. The final edition also includes a wrap of the Umpire’s union strike in 1999 when a miscalculated resignation cost four veteran umpires their jobs. Looking for bellwethers at this stage, Lee is seeing many empty seats via the MLB Direct TV package, and we will see the bankruptcy proceedings of the Texas Rangers play out where issues such as player salaries to be paid versus creditors hits the courts. Finally, there might be some additional drug policy discussions as a new collective bargaining agreement opens, and addressing of an international draft and compensation for amateur players. To some degree, Lee hopes there doesn’t need to be a fourth edition of the book addressing another major development in the labor wars that have dotted the long and storied history of the game of baseball. However, should the need arise there is no one better to put the entire situation in perspective than Lee Lowenfish. To follow Lee you can find him on Twitter or at his web site LeeLowenfish.com .. We express our sincere gratitude to Lee for sharing his work with us and for taking the time to appear on the Cover the Bases podcast. Lee Lowenfish is not only an author of unparalleled research and writing skills, he's also a greatly in-demand lecturer as well as a jazz aficionado and the former host of two WBAI radio programs, “Seventh Inning Stretch” and “Monday Arts Magazine.” He writes about subjects that could easily be arid and uninteresting in less capable hands, but his style is always entertaining and accessible. In “The Imperfect Diamond” and “Baseball's Ferocious Gentleman,” he turns the arc of baseball's labor and race relations into as gripping and turbulent a tale as any devised by romance novelists, rendering owners' and agents' off-the-field deals and dirty tricks as compelling a component of baseball history as Henry Aaron's pursuit of Babe Ruth's home run record or any other on-field achievement. 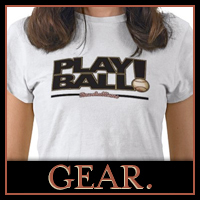 Thanks so much for highlighting the Professor's wonderful books here in baseballisms.com, Joe.